June 19, 2017 August 25, 2017 - by HAHAPPY - 6 Comments. If you’re looking for really Cool Hunting Gifts For Hunters, search no more because we’ve got 22 of the best gifts for the hunting guys in your life. 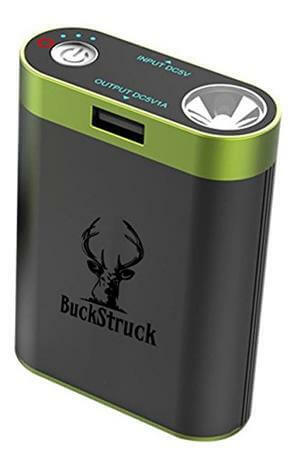 From must-have gears for hunters to high-tech gadgets that help their shooting, or funny hunting themed gift to make them smile, below are some good gift ideas for the special hunter in your life. 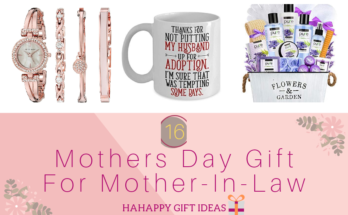 If you’re searching for cool hunting gifts for dad, give a unique gift with lasting utility. 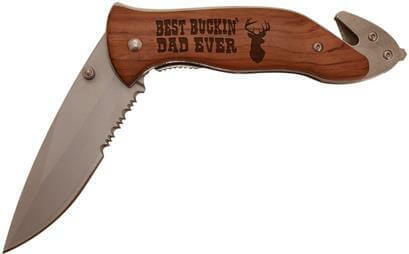 This laser engraved Best Dad Ever Engraved Stainless Steel Folding Knife is sure to make him smile, and he’ll cherish every time he uses it. 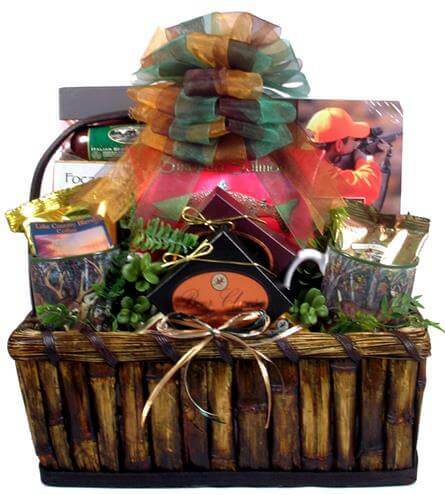 The ultimate hunting gift basket is definitely one of the best gifts for hunters who have everything. There are hunting themed gifts and delicious snacks to celebrate the thrill of the hunt and compliment them. This gift basket will hit the mark for anyone who likes to hunt. 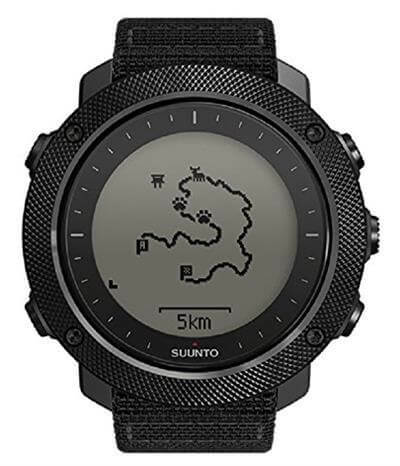 If you have been looking for hunting gifts for boyfriend, then this Suunto Traverse Alpha is the ultimate stocking stuffer. It works as his guide in the wild, keeping him on track of the route he traveled with GPS/ GLONASS navigation while hunting. Need funny hunting gifts for your hunting friends? 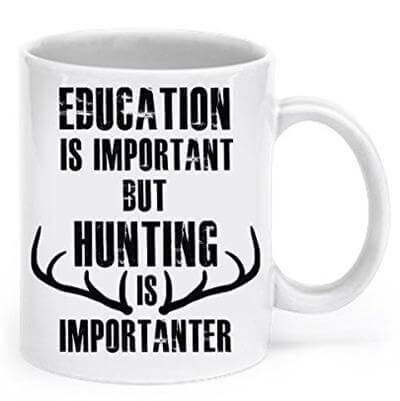 This funny Hunting Coffee Mug is sure to bring a smile to their face. It is a well made ceramic mug with printing on both sides. Great gift for any hunter who deems hunting is a priority above all else! Personalized hunting gifts are always cool for hunters. 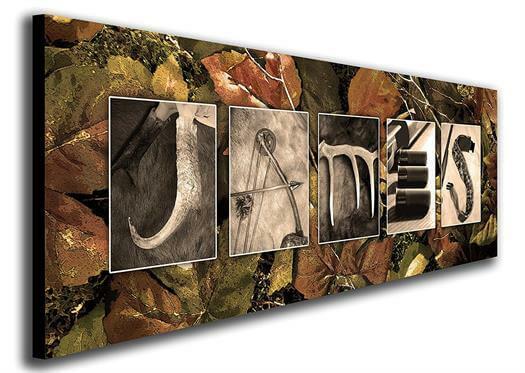 This beautiful Name Art uses hunting themed photography letters to spell out the name of the hunter in your life. Perfect and unique gift for hunters. Picking gifts for hunters under $50? This hand warmer is a great choice. It is a must-have for cold weather hunting and gets HOT quickly and lasts up to 8 hours. What’s more, it can use as a phone charger and emergency flashlight. 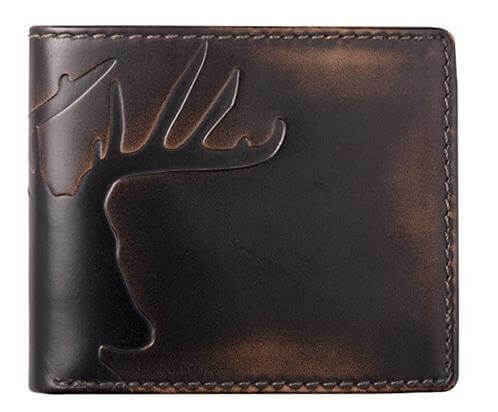 Combining an embossed deer graphic and handcrafted top grain leather wallet design, this premium deer bifold leather wallet is one the unique gifts for hunters. It keeps all your essentials secure with a touch of hunting heritage. With the unique H-Frame Design, this ALPS OutdoorZ Traverse EPS Hunting Pack allows hunters to carry heavy loads with ease. In addition, it provides plenty of pockets and more than enough space to hold all the accessories in an organized way. 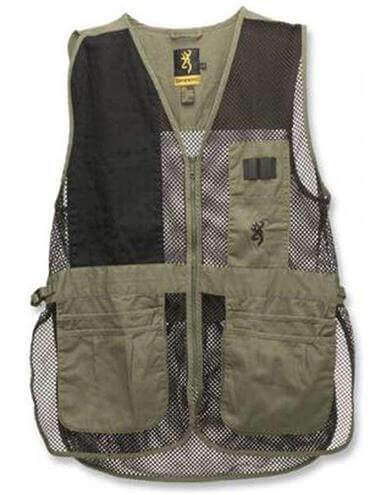 The Browning Trapper Creek Mesh Shooting Vest is a great practical gift to help hunters keep their essential gears secure at the range. It is made with 100% poly mesh for ventilation and features side tab adjustments and four built in large shell pockets. 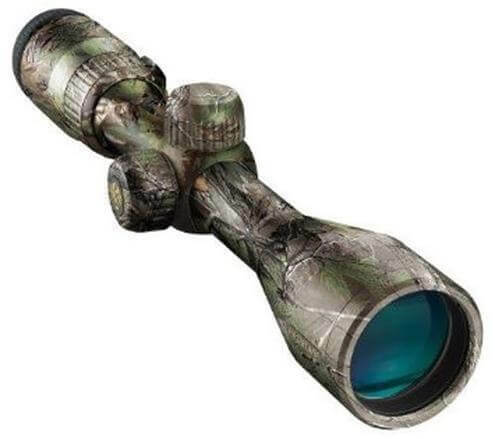 Boasting Nikon‘s innovative adjustment technologies and fully multicoated optical system and, ProStaff 3-9×40 Riflescope is a great gift to offer an excellent hunting performance for any hunter. 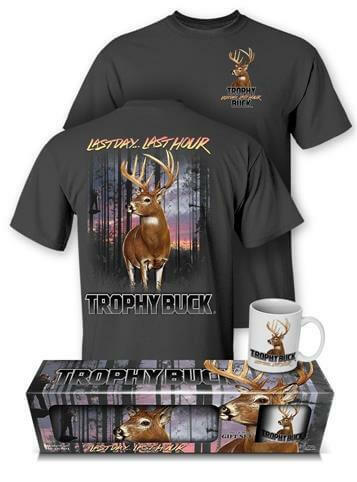 This Trophy Buck Mug and T-Shirt Gift Set is a perfect gift for the deer hunter on your gift list. The Deer T-Shirt is made of 100% cotton with screen printed design and the matching coffee mug will make every hunter excited to receive. 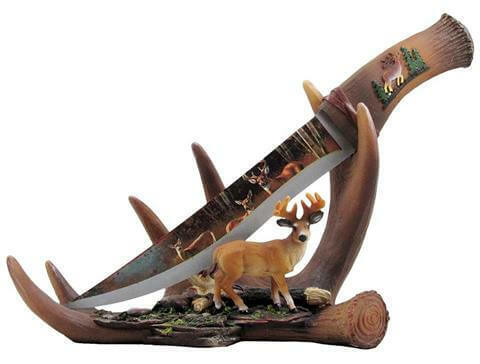 Give the spirit of the big buck to the hunting man in your life with this vivid display knife on a dramatic antler stand! A stunning decor for any deer hunter’s collection! 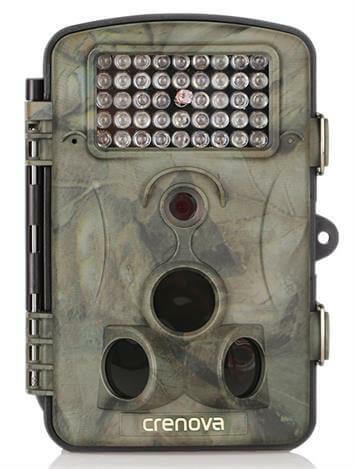 Let your loved hunter capture every breathtaking moment of wildlife with the RD1000 Trail Hunting Camera. With the help of sensitive PIR sensors and powerful 12MP resolution, the camera is a great gift for hunters to discover the brilliance of nature. 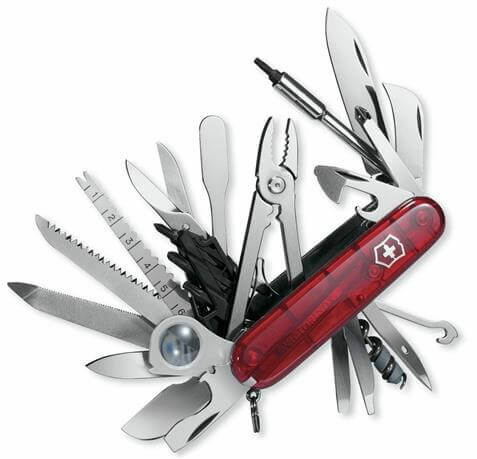 With 33 functions, this Victorinox Swiss Amry SwissChamp Knife is a great pocket tool for outdoor adventure and hunting. It perfectly represents the ultimate in functionality in one convenient tool. This knife is an executive gift for every hunter. 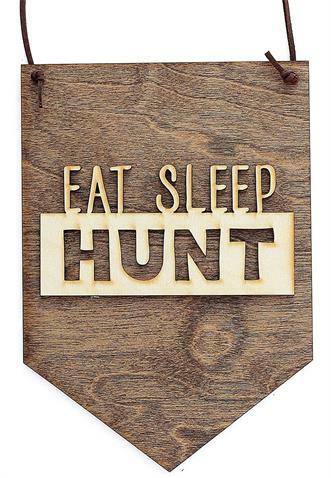 Eat, Sleep, and Hunt! This awesome Wood Sign is handmade in the USA and made of high-quality materials. 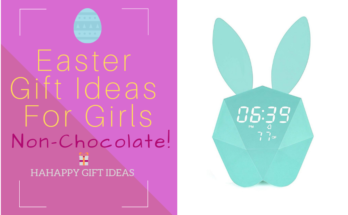 It is just an adorable and affordable gift that will really Wow your hunting friends. 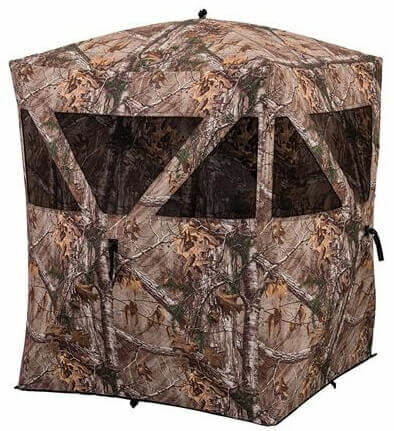 This Ameristep Care Taker Hub Blind-Realtree Xtra not just allows hunters to blend into the wild environment, it also enables them to hunt comfortably. Best of all, it features 360-degree shoot through mesh windows with easy setup. 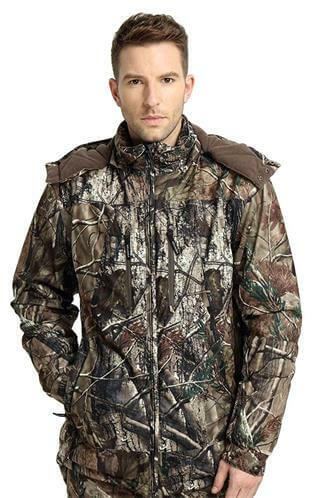 Give the gift of warmth to the special hunter in your life with this waterproof and windproof Camouflage Winter Hunting Jacket. It not just keep him warm and comfy, it makes him look great in the wild nature. 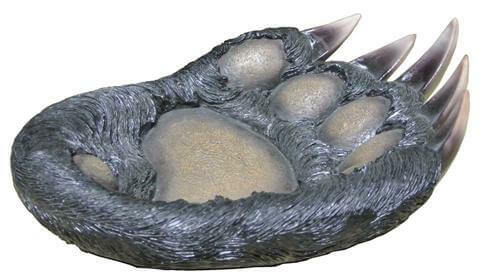 This Handcrafted Bear Paw tray looks just like a bear’s paw, makes it perfect for any decor. This is a cool gift for the hunter on your gift list for any time of year. 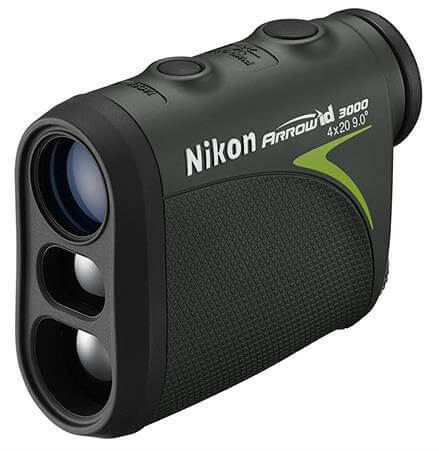 If the person you need a gift for is obsessed with bow hunting, it’s time to upgrade his hunting equipment with this Nikon 16224 Arrow ID 3000 Bowhunting Laser Rangefinder. It is packed with features that are designed to make bow hunting easier. The coolest hunter deserves for the coolest sunglasses. Costa Fantail 580G Polarized Sunglasses are perfect for any hunter who expects high-performance eyewear for their hunting adventure.Tough and durable, and comfortable. 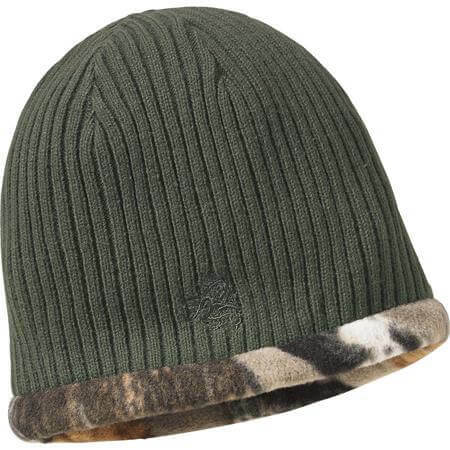 Perfect for cold winter hunting or everyday use, this Trophy Buck Reversible Knit Camo features a comfort-stretch ribbed knit reverses to a super soft polar fleece in Big Game® Field Camo pattern. He will be difficult to decide which way to wear it! Decorative your hunter’s room with this Deer Wall Mount Key Holder. 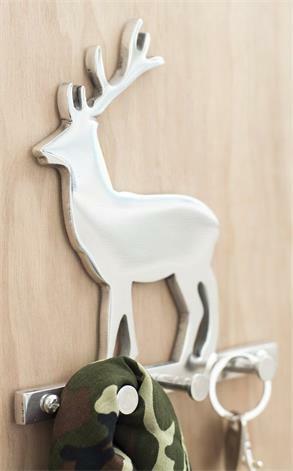 This delighted deer theme key rack is ideal for keys, lanyards, leashes, and small personal items. It is made from hand-cast aluminum in the polished finish. Modern and Attractive. These are some really nice hunting gifts! I especially like the hunting knife display. I can go for those Costa glasses as well. I’ll have to share this page with my wife so that she can get a lot of cool ideas. Plus I have a lot of friends who love hunting. Thanks for all of the great ideas. Thank you so much for your feedback and your sharing! 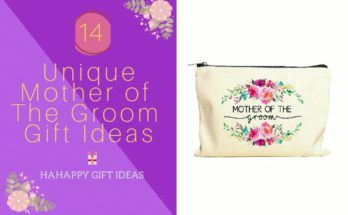 This is a very nice page with great gift ideas! Your “by interests” page is great and very functional. I really enjoyed the “22 cool hunting gifts for hunters” post. 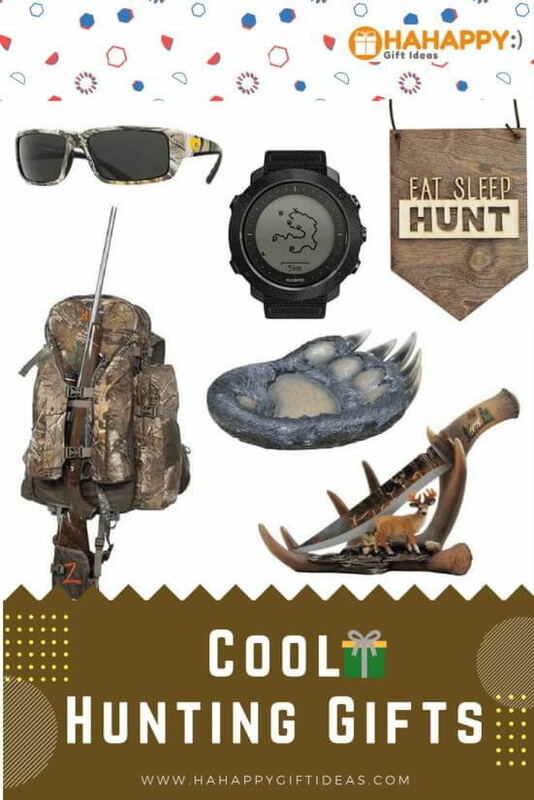 Men are sometimes difficult to shop for and I’m sure any outdoor man would love these hunting gifts! We’re glad that you enjoy our site and suggestions. My dad has been an avid hunter since I was a little girl. He’s taking my fiance with him for hunting next month. I wanted to give them both gifts for their first hunting trip together. I think a riflescope for my dad and a hunting knife would be a good idea. Thanks for the great tips!